Chain Nose Parallel Pliers 140mm, without spring. 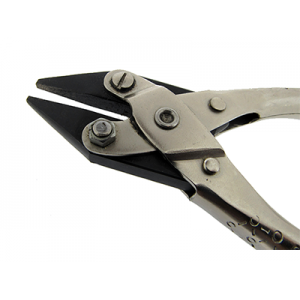 Parallel pliers are used when uniform pressure..
Half Round Parallel Pliers 125mm without spring The BEADSMITH. Parallel pliers are used when uni..
Nylon Flat Nose Parallel Pliers 140mm with Spring The BEADSMITH. Parallel pliers are used when u..